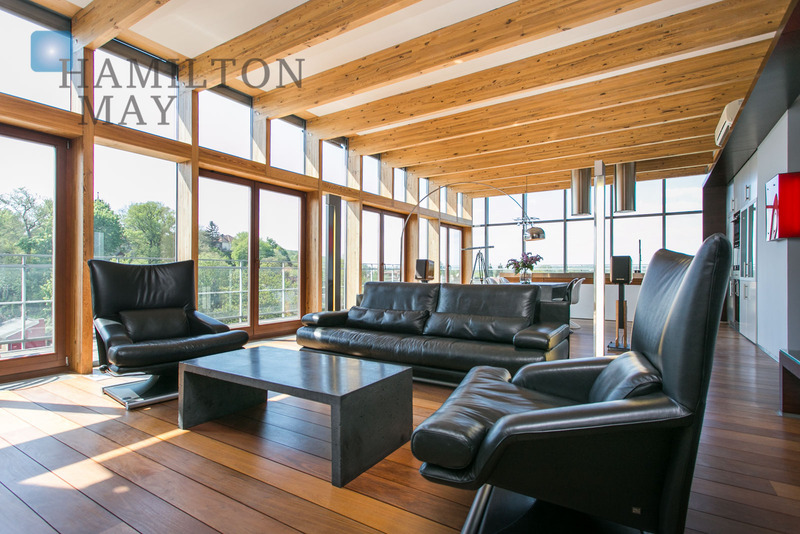 Hamilton May offers a comfortably furnished, two-level apartment available for sale. Hamilton May presents a comfortable apartment offered for sale in Wola Justowska. Hamilton May offers a modern apartment in the new, luxurious Angel Wawel residential complex. Hamilton May presents a comfortable apartment with a garden offered for sale in Wola Justowska. Hamilton May presents a comfortable apartment with roof terrace offered for sale in Wola Justowska. Hamilton May would like to present for sale an exclusive 3-bedroom apartment located in the heart of Kraków's Old Town, right by the Planty Park at ul. Św. Tomasza. Hamilton May is pleased to present a two bedroom apartment available for sale, located in front of the Wawel Castle, right by the Vistula river. Hamilton May presents a beautiful, spacious apartment with a panoramic terrace, situated in the prestigious Lofty w Młynie development. On this page Hamilton May Real Estate displays sales offers of the highest standard properties: luxurious apartments and penthouses in the centre of Krakow. We are offering apartments finished with the highest standard, located in the prestigious parts of the city, equipped with parking spaces. Please contact Hamilton May get more information about our offer for most demanding clients.